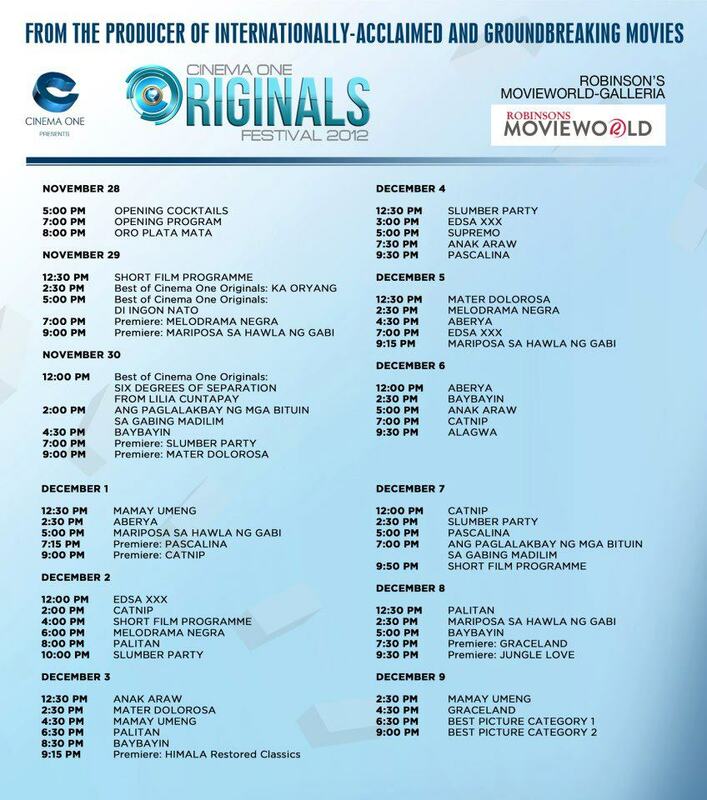 Cinema One Originals Film Festival 2012 features 13 new films plus other featured films not part of the competition. 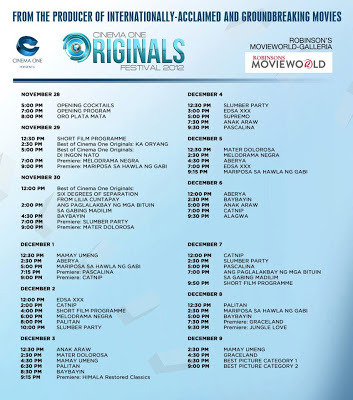 This will be held at 2 venues: Shang Cineplex at Shangri-La Mall in Mandaluyong City and Robinson's Movieworld at Robinson's Galleria in Ortigas, Pasig City. 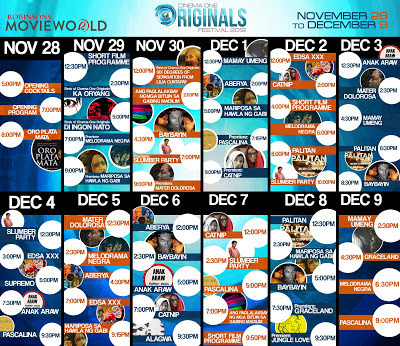 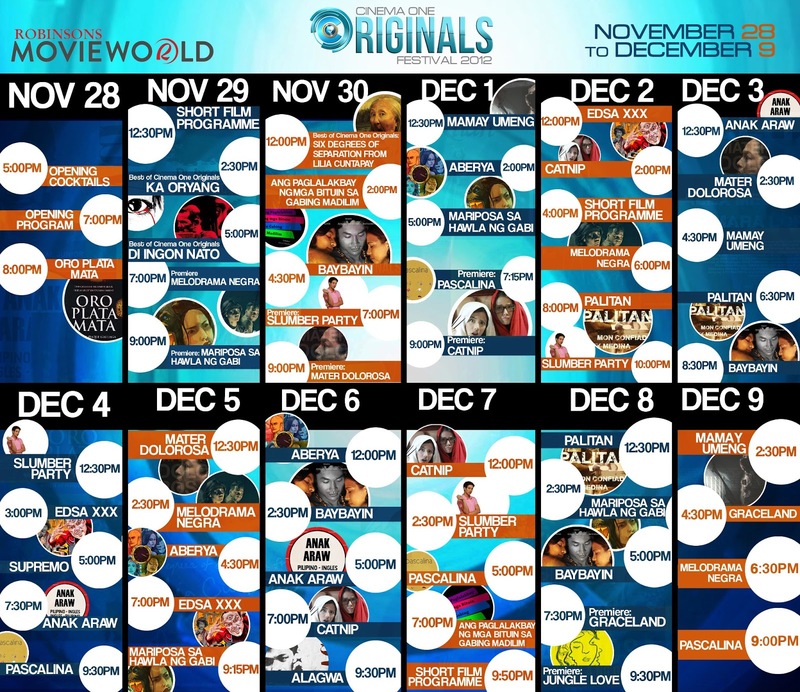 The schedules listed on this page are for Robinson's Movieworld (November 28-December 9, 2012).